ABN AMRO, a Dutch government-owned bank, is currently a hot topic in the Netherlands. The bank’s board gave themselves a generous increase in salary, provoking public outrage. These directors act as if they’re working for a privately-owned bank, while all future losses will be shouldered by Dutch tax payers. Daring claims by this self-named ‘modern’ bank are nothing new for gold investors. Recently, ABN’s Coordinator FX and Commodity Strategy, Georgette Boele, who in 2013 was awarded several prizes for her "accurate predictions," forecasted a further drop in gold prices to $800. What is her price target based on and what errors does ABN AMRO make? ABN AMRO expects the gold price to drop to $800 by the end of 2016. This implies that Mrs. Boele is forecasting the longest price correction (or ‘bear market’ in Wall Street terminology) in history. As of this moment, gold is already in the second-longest ‘bear market’ ever recorded of 47 months. However, according to ABN AMRO, the end is not yet in sight. According to the bank the gold price is expected to drop another 33% in the, according to them, largest bloodbath in history. When we say ‘in history’, we mean the time period from 1971 onwards, when the Bretton Woods semi-gold standard was abandoned. Gold investors are sometimes accused of pessimism, but this qualification seems equally applicable to ABN’s analysts. As a side note: silver is already experiencing its longest price correction in history. Their price target is based on three assumptions: (1) the Fed will raise U.S. interest rates and the market underestimates the number of upcoming rate hikes, (2) the U.S. economy recovers and the rate hikes will not slow down economic growth, but rather accelerate it, and (3) the current market sentiment is negative. What are the three errors that ABN AMRO makes and why is their prediction wrong? ABN AMRO employs economists that strongly believe in a ‘solid’ U.S. economic recovery. They blindly believe everything what the Fed’s mathematical and Neo-Keynesian economists have to say. The economy did just fine up to 2007, when it suddenly failed. But then the Fed got it working again by undertaking the biggest monetary stimulus ever, the world once again turned into a happy place. Thanks to the decisive action by the “committee that saved the world,” all is well again. It is therefore striking that, out of all agencies, the Federal Reserve of Atlanta estimates that economic growth over the first three months of this year will be exactly 0%. If this is the miraculous economic recovery on which ABN bases its rather extreme price target, then I can already tell them that their forecast simply will not happen. The ABN economists also do not realize that a strong dollar is detrimental to the U.S. economy, instead of beneficial. Nor is the falling oil price equivalent to a ‘tax cut’ for U.S. citizens (as ABN claims), considering the U.S. oil industry is substantially larger than before. The low oil price has major consequences for the U.S. oil production given that its costs of production are often higher than those in competing countries (e.g. Russia). It is true that the negative effect that the oil price has on the U.S. economic growth is delayed considering that many U.S. oil wells have not been closed down (yet). Many shale oil producers still supply oil in accordance with the old terms of sale and delivery. This negative effect is nevertheless real and it will have a negative impact on the growth figures of the coming months. More interesting data was released last week; the number of factory orders declined, shrinking at a pace last seen in 2008. Imports and exports also decreased, imports showing the biggest decline since Lehman Brothers’ failure. I won’t bother you with more data, I think my point has come across. I have argued that the U.S. economy will weaken for months now: the economic recovery is an illusion. ABN AMRO is overestimating the economic recovery, thereby providing an unrealistic price target. According to the logic of Mrs. Boele and her analysts, the gold price should also have dropped between 2001 and 2007, or at least between 2005 and 2007. In this period of time, the Federal Reserve gradually raised interest rates, as Mrs. Boele expects to happen now. However, the gold price did the very opposite: it rose. You don’t need a PhD in economics to understand that those interest rate hikes provoked the biggest economic turndown since the Great Depression and a 50% drop in stock prices. The reality is that underlying economic circumstances have worsened even further. Last time, Ben Bernanke—former Fed chairman and as of recently blogger—had to raise interest rates to 5.25% before triggering the worst crisis of our generation. I don’t expect that Janet Yellen—the current Fed chairwoman—has to raise interest rates this much to unleash a similar crisis. In the figure we can see that real interest rates were negative between 2002 and 2005. The brilliant economist Ludwig von Mises showed that negative interest rates, caused by monetary intervention, initiates credit cycles that unavoidably ends in a general recession. Starting in 2006, the Federal Reserve has gradually raised interest rates to 3.8% (inflation-adjusted) and thereby started a liquidation of previous excesses (in other words, a recession). It is therefore very interesting to look at the current state of affairs. From 2009 until February of this year, real interest rates have been negative—no surprises here; the ‘easy money’ policy by central banks over the past year has ‘paid out.’ But, and this is the key point, real interest rates are positive again for the first time in six years! And the Fed has not even started raising the interest rates themselves. I therefore do not expect that interest rates have to be raised to 5.25% this time (or 3.8% in real terms) in order to trigger a stock market collapse. This decade of zero-percent interest rates has namely provoked a proliferation of financial excesses, including more ‘marginal’ projects and investments that are highly sensitive to changes in the financial markets. Today, much more money is invested in risky assets than was the case in 2007. And this is exactly why there is a wonderful time ahead for us as gold investors: the Fed—and with it all other central banks— is caught in a ‘Catch-22;’ a situation in which reaching the desired outcome is impossible. 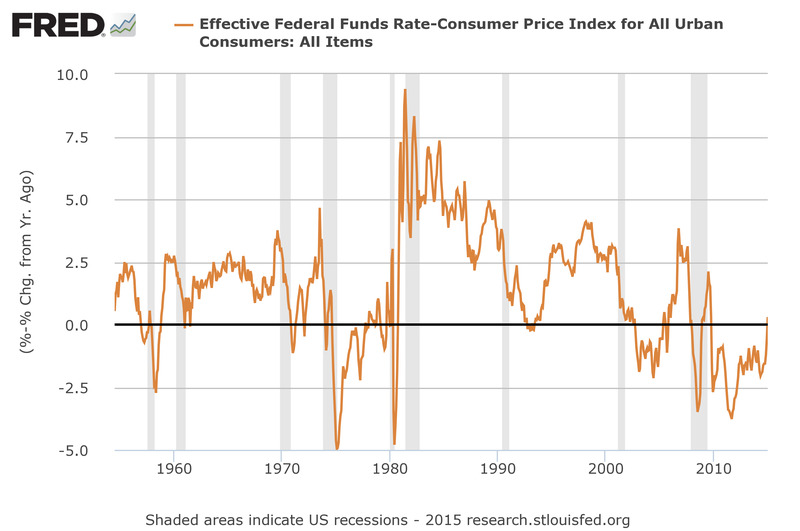 What outcome does the Fed desire? That It can raise the interest rate to a historically acceptable level, and that economic growth returns to pre-2008 recession levels. I can assure you that this is impossible. Central bankers and the majority of economists—including those of ABN AMRO—will nevertheless continue to believe in this illusion until reality proves them wrong. ABN’s third argument to support their $800/oz price target is also nonsense. At some point in time, the gold market will (also) reach a point of ‘maximum pessimism’ and the market sentiment will turn upside down as quickly as politicians change their positions. We are reaching that point. The question is; what will ABN AMRO do when the gold price rises? Will it change its price target? I would prefer not to comment on ABN’s interest in a low target price for gold. So much for the prospects of the coming years. The outlook of ABN and I, on where the gold price will be by the end of 2016, are completely opposed to each other. However, our different views on the outlook for the coming months can be reconciled. For now, my marriage with ABN can be saved, but will probably end up in a divorce later this year anyway. I actually agree with ABN AMRO’s forecasts for the coming months. In June, they expect a gold price of $1,100. Right now, gold trades at around $1,200. I expect that the gold price will continue to be under pressure. It could drop to $1,100 or perhaps, in an extreme scenario, to $1,000 (who knows!). I personally expect this bottom price to be very short-lived, and that it will mark the end of a prolonged— the longest in history—correction in the price of gold. Personally I think it is senseless to provide a target price (investors have better things to do than analyzing hypothetical future prices, something that economist Friedrich Hayek would call a ‘pretense of knowledge’). That is, if the Greeks suddenly decide to return to the Drachma, gold could very well trade at a much higher price in the following morning. In Greece, nobody would pay attention to Mrs. Boele’s price target. And this is exactly why quantitative price forecasts in the financial markets are useless. I wouldn’t recommend that anyone waits for the gold price to bottom, but instead to gradually buy gold and establish a position.